Thanks to the crew(Russell, Charlie R., Sissy, Matt S.) who helped till the Hopi Blue Corn bed during the work day in May and get it in perfect planting shape, Jackie and Milli were able to plant the 2016 crop. The Hopi corn seeds are planted 12 inches deep. 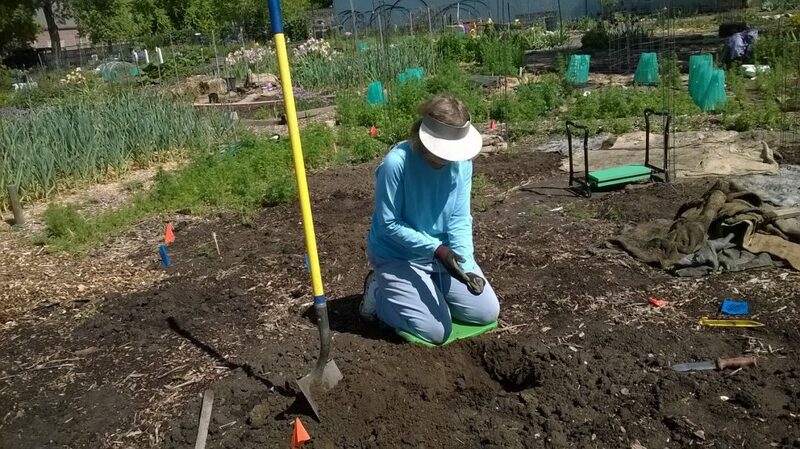 Jackie planting the 2016 Hopi Blue Corn seeds 12 inches deep. And just one week later, the first sprouts!! Hooray!! 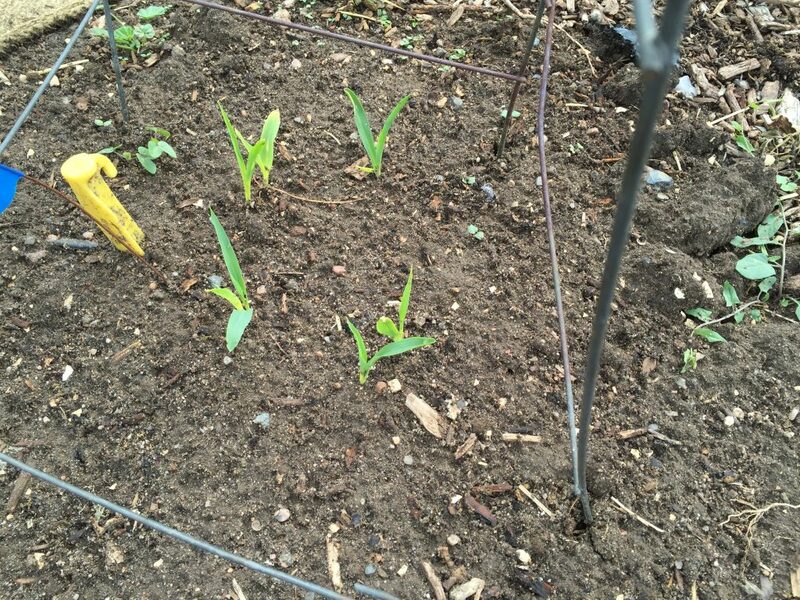 Hopi blue corn sprouting just a week after planting 12 inches deep. Fingers crossed for a great crop this year. Read more about the Hopi Blue Corn project here.